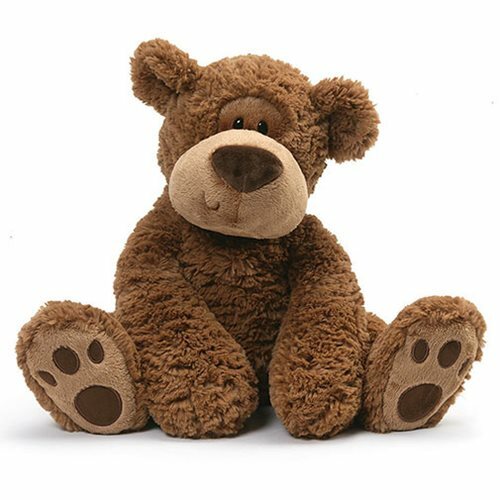 Gund is proud to present Grahm — a caramel-colored bear with a cute sideways smile and expression that's as sweet as he is fuzzy! The Grahm Teddy Bear 18-Inch Plush is extra special with his uniquely textured soft fur and big paws that are ready for even bigger hugs! Dark brown paw pads and matching big bear nose provide unique, personal touches. Surface-washable for easy cleaning. Measures about 18-inches tall x 14 1/2-inches long x 10-inches wide. Ages 1 and up.